The ensemble of “Graffoníks 4” strikes a pose. The performers are comprised of members from Tonik Tap and Graffiti Dancers. “Anybody who knows me knows I’m obsessed with Beyoncé,” the Communication senior said. After discussing the idea with the entire group, what began as a comical brainstorm became the theme for this year’s “Graffoniks” show. On Jan. 19 and 20, Graffiti Dancers and Tonik Tap will join forces to present “Graffoníks 4,” a blend of contemporary and tap dance centered around the music of Queen Bey. Rosenbloom’s brainchild was conceived during a casual conversation with a Tonik Tap member about potential themes, Rosenbloom said. “Graffoniks” last theme, 3-D, had paid homage to the third year of the collaboration, so Rosenbloom said the groups wanted to do something similar for their fourth show. “Graffoniks” began four years ago as a friendly, casual collaboration, Rosenbloom said. She noted that with a history of shared friendships and members performing for both, a joint performance seemed natural. Weinberg senior and Tonik Tap artistic director Sterling Harris said each consecutive show has been more polished and refined than the last, and that the groups have a strong bond and look forward to working with each other every year. The two groups feature contrasting dance styles. 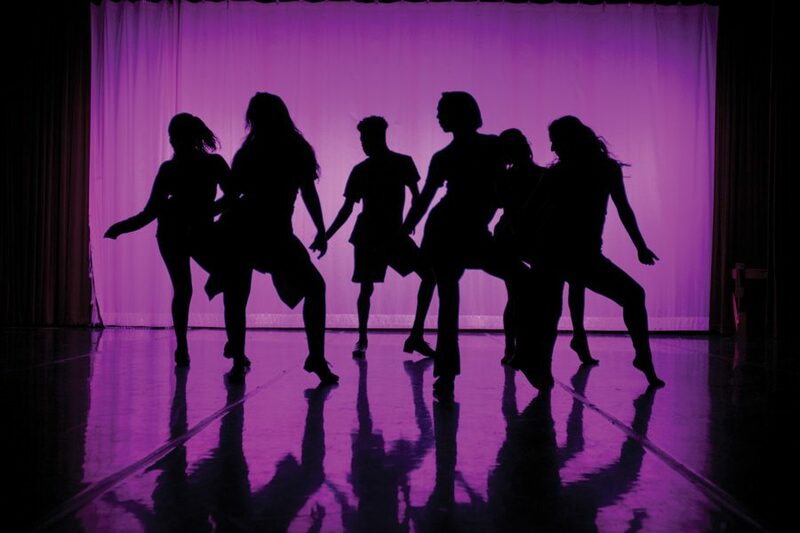 Graffiti Dancers — the oldest dance group on campus — focuses on contemporary dance such as ballet and jazz, while Tonik Tap is eponymously tap-focused. Graffiti Dancers co-artistic director Megan Conlon said while these dance styles are different, both groups have been able to inspire new ideas by incorporating techniques from the other group. Conlon said she was excited by the new choreography that emerged when working on the senior dance piece. Members of Graffiti Dancers perform a leap during a dance number. “Graffoníks 4” will be performed in the Virginia Wadsworth Wirtz Center for the Performing Arts on Jan. 19 and 20. While neither group restricted their choreographers to only using Beyoncé’s music in their pieces, much of the performance will feature her work, Conlon said. Her music will make up the entirety of the “jams” segments: short, improvisational pieces between the choreographed numbers, Conlon said. Of course, no Beyoncé-themed performance would be complete without the rousing, key-changing song “Love on Top,” which will be used for the finale, Rosenbloom said. She said the final number is her favorite part of the entire show, which she’s most looking forward to perform.